Instagram has introduced an updated version of its hugely popular photo sharing app which now includes support for two of Asia’s most influential social networks, as it looks to grow its popularity in the region. Instagram 2.2 now enables users in Japan to share images to popular social network Mixi, while Chinese Instagramers can share their images direct to cult microblog Sina Weibo. The company has also moved to address a long-standing issue, and one that has bothered some people at The Next Web, by introducing a faster camera, aimed at helping users grab those picture perfect moments as they appear. Mixi recently partnered with Twitter to help fend off the growing threat of Facebook in Japan but it still commands an impressive 22 million users there. While Sina Weibo is a Twitter-like service that has more than 300 million registered accounts in China. The service is hugely popular but new regulations that will require users to verify their identities could impact upon it when they come into force next month. 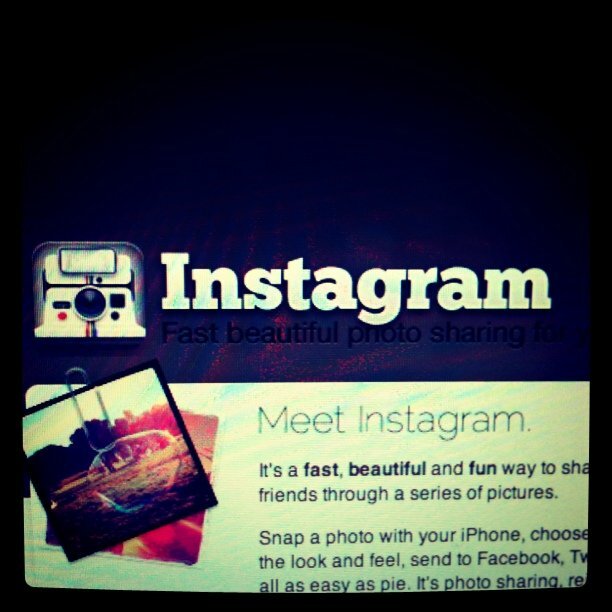 The new version of Instagram also allows all users to change their profile picture from their profile page, making it a far easier and convenient to do so. This version fixes a bug that caused filters to not apply in some cases when using Lux, as well as a bug that sometimes caused photos to not save to your photo library. The move to support these Asian services follows comments Instagram CEO Kevin Systrom made back in November when he revealed the company was “interesting in exploring” opportunities to partner in Asia. Systrom previously indicated that the company was not looking to launch an office in Asia but, having made the first step of supporting local users there, the possibility may not be so far away after all. Instagram hit 15 million users back in December and the company has publicly admitted it is working on an Android app, though recent rumors suggested a Windows Phone 7 release may come first. You can read more about Instagram’s meteoric rise and background in our interview with Systrom from last year. Note: The new sharing options are available for phones with device language or region format is set to Chinese or Japanese only. 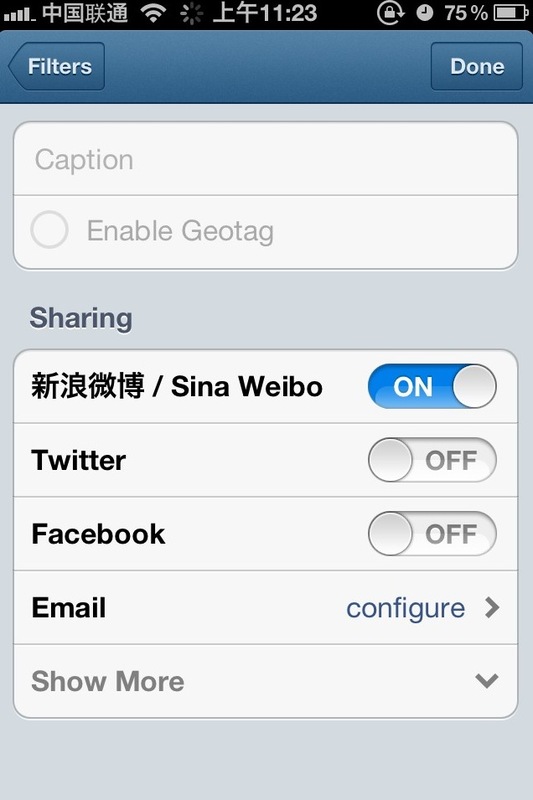 However it appears that, once a sharing connection with Weibo or Mixi is established, users can reset their device to a different location and still enjoy the feature. Read next: Review: Readability finally gets a gorgeous app on iOS, but was it worth the wait?